The Lithuanian minimalist composer Gediminas Gelgotas has made a name for himself with his ensemble New Ideas Chamber Orchestra (NICO). 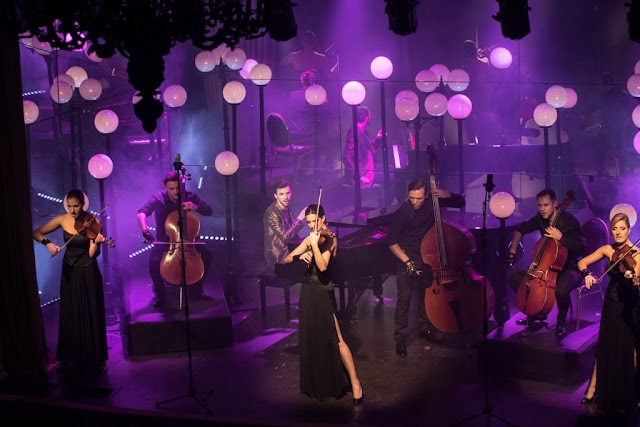 Their classical music with a popular feel, combining multiple stylistic influences, has captured the attention of a younger audience for classical music. Gediminas and NICO were in the UK for a few days to do some recording, so I was able to take advantage of this too meet up with him to chat about his work and plans. 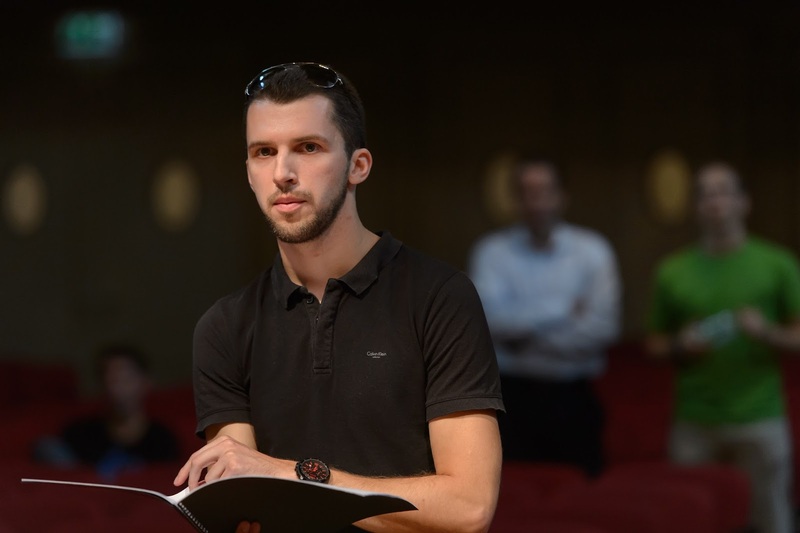 Gediminas has featured a few times on this blog, mainly with postings of videos of his work [ on Sanctification and on Kristjan Järvi's Nebula] so it was a good chance to find out more about his compositions. NICO was going to be busy in the studio at the recording sessions, recording around 3 and a half hours of music, including a chamber version of Gediminas' Symphony No. 1 'Extracultural' and Max Richter's version of Vivaldi's The Four Seasons, a movement from Philip Glass' Violin Concerto No. 1 and his string quartet Company, plus Gediminas' arrangements of Lithuanian folk songs and a piece by Hildegard of Bingen. The folk-songs were included partly because during 2018 Lithuania is celebrating 100 years since independence. In Gediminas arrangements, the players improvise and end by singing together, unaccompanied. In all they will be laying down 36 tracks. They plan to issue a vinyl disc of Gediminas' symphony, and will also be releasing the Max Richter on disc. As a rule Gediminas tends to avoid works where one composer has re-composed another, feeling that the original frequently works best. But he finds Richter's re-composition of Vivaldi beautiful with real depth, and he feels it sounds fresh. 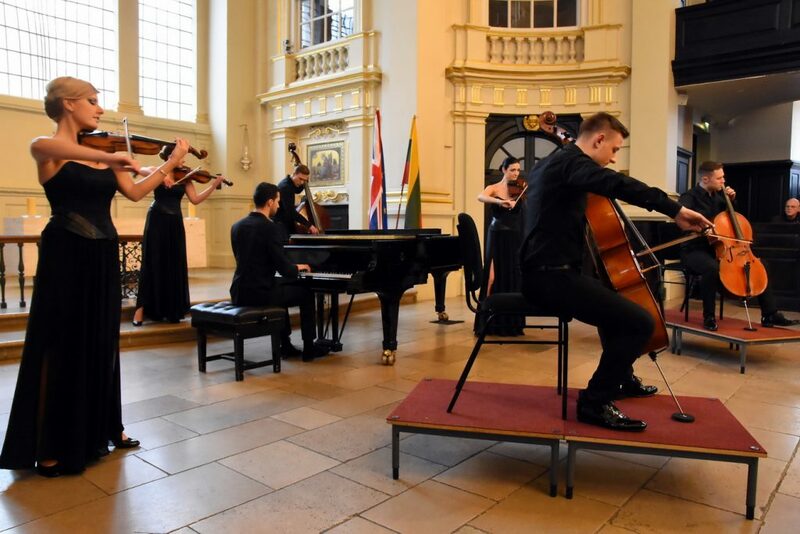 Gediminas founded NICO in 2006, it is an ensemble based on three violins, two cellos, and double bass with Gediminas providing piano and singing as needed. He also does what he calls 'minimal choreography' for the ensemble's stage shows. This is part of the ensemble's ethos, with careful thought given to the staging of the music. This came about because ten years ago Gediminas wrote an instrumental piece which required each player to begin each phrase with a physical gesture (raising the arm slowly) and once the musical phrase was finished then reverse this. He was rather struck by the counterpoint of music and movement over the 12 minutes or so of this slow meditative music, and this provided the germ for the way NICO presents itself. Also, one of Gediminas' professors in Hamburg (where he studied at the Hochschule für Musik und Theater ) studied in India, and Gediminas feels this may have influence him too, as he is interested in developing a music and visual picture. In fact, this combination of music and movement is how he imagines the pieces, the movement comes out of the music rather than being applied to it afterwards. 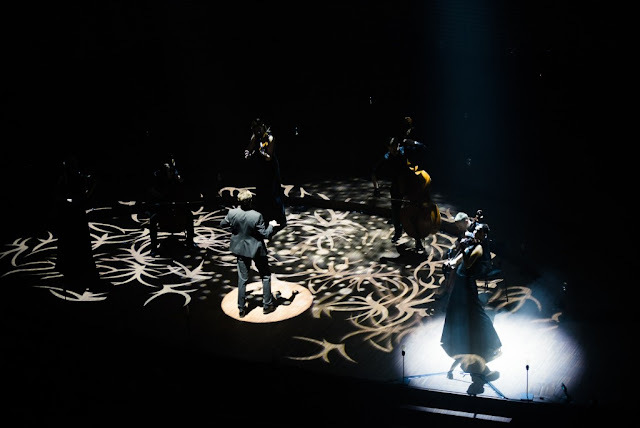 NICO is thus an ensemble of six or seven soloists, rather than an orchestra, and the line up is quite flexible, but part of the presentation is their strong image on stage. Their repertoire is mainly music which Gediminas likes, predominantly minimalists with music by Arvo Pärt, Philip Glass, Terry Riley, Peter Michael Hamel and Sir John Tavener, as well as a recent piece by conductor Kristjan Järvi [see my article]. When I ask about the style of his own music, Gediminas is firm that it is minimalist. But admits that there are different styles of minimalism and that his own pieces do not strictly sound like American minimalism or the Baltic minimalism associated with Arvo Pärt. But Gediminas is excited by the possibilities provided by the sheer number of shapes and layers that can be developed out of the same material, and he likes to work in this focused way. He is also influenced by the music that surrounds us in taxis, in the street, and from popular culture. He also appreciates the ability of popular music and rock music to communicate with big audiences, and some of NICO's performing style is influenced by this. But he and the other musicians are all classically trained in music academies. Though he does not do it deliberately, he admits that his own music is impacted by these more popular influences, and he describes it as classical music with a popular feel. Whilst he feels that anyone who likes the music of Arvo Pärt or Philip Glass would like his music, that he allows the influences of popular music into himself, into his music, partly explains why NICO's work is so popular with younger audiences. And these influences extend to club and dance music, so that Gediminas will use the sort of strong beats that are found in dance music by, for example, using the double bass to provide a strong beat in the bass line. He also uses some electronics, as in his Symphony No. 1. The symphony's subtitle is Extracultural which Gediminas thinks of as referring to something which exists outside existing boundaries, something you don't recognise but can related to. The work is in 12 movements and includes a variety of influences, baroque, avant garde, rap and more, so that there will be parts of it a listener will recognise and parts will be new. 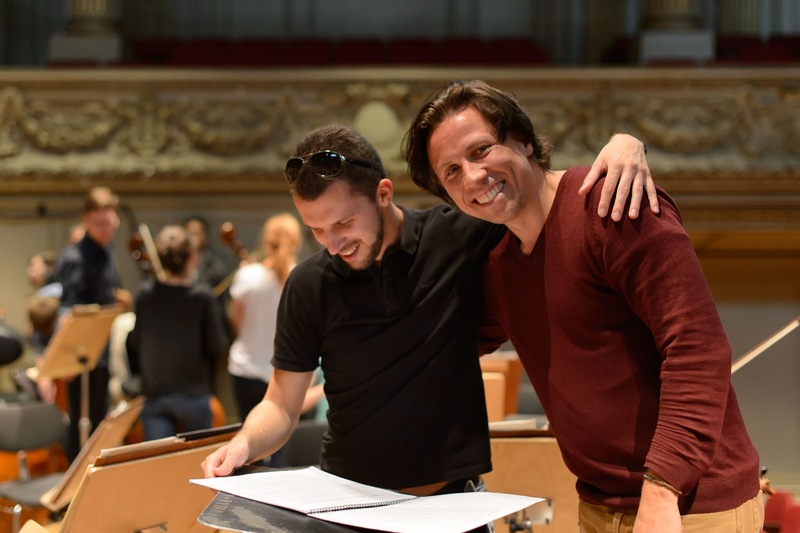 The symphony is written for ensemble and symphony orchestra, and was premiered by Gediminas and NICO with the MDR Radio Symphony Orchestra conducted by Kristjan Järvi. One movement from the symphony has been re-worked as Sanctification which Gediminas recently recorded with double bass player Roman Patkoló [see my article]. He made the arrangement partly because he felt that the piece fitted the double bass; it has lots of low notes, is full of rhythm and has a beautiful melody. One of the players in NICO is taught be the distinguished bass player Roman Patkoló so that contacted him about the piece and he was enthusiastic. Gediminas feels that is is important to have good communications with other performers; if a performer is distant then this can come over, making them appear uncomfortable with the new music. But he and Roman Patkoló got on very well, and Roman Patkoló was very sympathetic and performed everything just as Gediminas had imagined, so they went from their first run through straight to the recording. 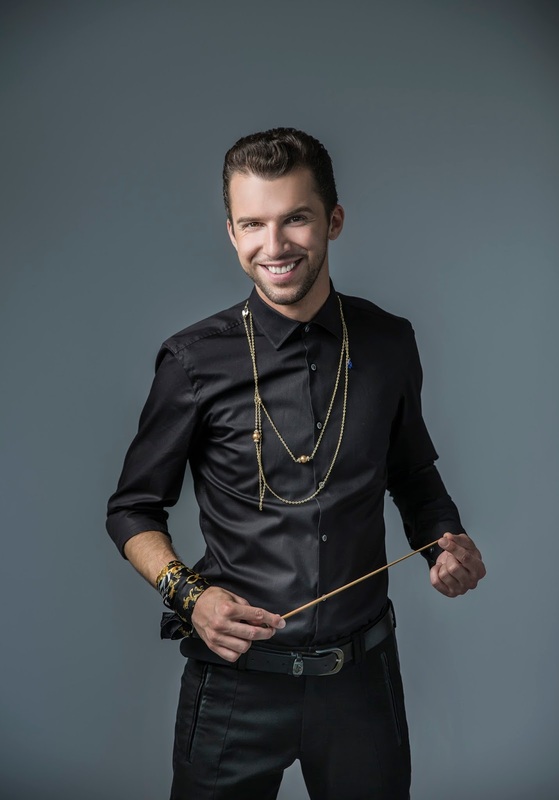 Gediminas comes from a musical family, his father is an orchestral musician and his mother a choral conductor, whilst his two elder siblings both play an instrument. His parents wanted him not to be a musician, so that he could have a 'normal life', but five year old Gediminas saw being involved in music as normal, when he asked what instrument he would be playing he became upset when told he would not be playing an instrument. So he started learning, and never thought of another profession. By the age of seven he was writing sketches of music (with some help), and sang in his mother's choir, played the trumpet and attended his father's rehearsals. He explains that there was no nanny, so that he would end up attending his parent's musical events. He studied composition from the age of 14 or 15, and found that by the age of 18 he knew that he wanted to make it the biggest part of his musical life. He writes very slowly, this is a conscious decision. He does not take all the commissions that he is offered, and so there is not the pressure to write all the time. He writes when he is excited, about the form or about the instrumentation. He is interested in the idea of a violin concerto, the types of communication between the soloists and the orchestra. It helps that the violin is an instrument that he knows quite well. He loves the process of writing music, and later in our conversation I find out that he writes long-hand with pencil and paper, finding the process works better than on a computer. He also finds writing music difficult in that when an idea comes to him, he is buzzing with energy yet needs to sit down and write; you have to work hard to be in the quiet calm zone. So writing music is something he loves and hates. He also likens it to self-analysis. The process of writing music is, of course, very personal and Gediminas has friends who in contrasts to his methods write a lot of music. When I ask about influences, he says that as a result of his upbringing choral music is in his head a lot, and as a teenager he was also in love with the music of Rachmaninov (and still loves it), and also names Bach. Growing up, there was little music at home, his parents were too tired to listen to music apart from practising. Gediminas comments that when he was studying, contemporary music seemed to be either avant garde or minimal, with little in between whereas this is where his music sits and that this trend is growing. He was always open to different styles and interested in a wide variety of things, whereas when many composers are studying there is a tendency to be completely focused. His desert island work would be the Bach Chaconne (from Partita no. 2 for solo violin), a work that he heard from childhood and he plays the Busoni's piano version. He feels that the music has everything - melody, harmony and he likens it to a symphony. At the end of the week we meet, Gediminas is off for a second recording session in Vienna. Not with NICO this time, he is working with the violinist Lidia Baich and will be recording a version for violin and piano of Never Ignore the Cosmic Ocean (originally for violin and orchestra). Whilst this will exist as a stand alone recording, with video, Gediminas has a vision of an album of his orchestral music arranged for chamber forces so that this recording and the Sanctification with Roman Patkoló work towards this. Then in February Gediminas and NICO are touring to Paris, Moscow, Tallinn and Kalingrad.